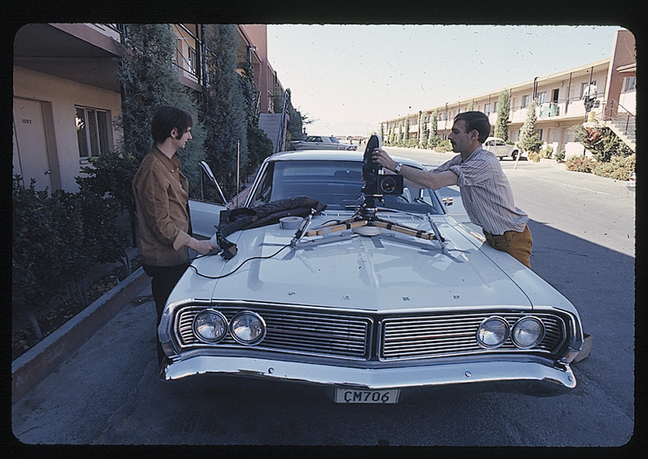 Preparations for film shooting on the Las Vegas Strip, 1968, photograph from the Learning from Las Vegas Research Studio. Courtesy of Venturi, Scott Brown and Associates, Inc., Philadelphia. 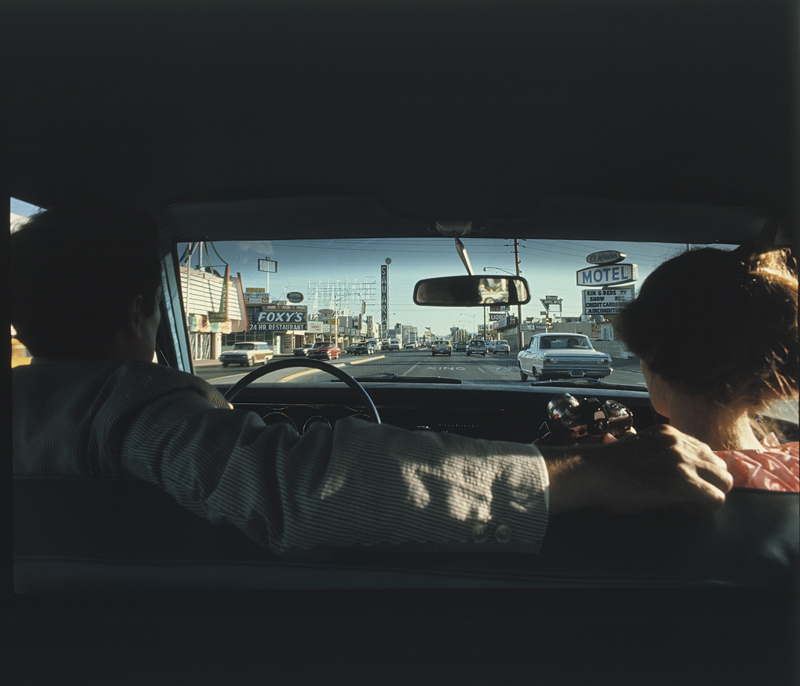 The project consists in the translation and publication of Las Vegas in the Rearview Mirror: The City in Theory, Photography, and Film (Getty Publications: Los Angeles, 2013), based on the original German publication (Zurich, 2010). This study undertakes a historical and critical inquiry into Robert Venturi, Denise Scott Brown, and Steven Izenour's Learning from Las Vegas and tries to situate it within postwar architectural and urban discourse. Unlike other studies on the topic, particular emphasis is given to analyzing the role of visual media such as photography and film, not only for their representation of urban form, but also as epistemological tools with regard to architectural research. Through the translation, findings are made accessible to an English-speaking audience. 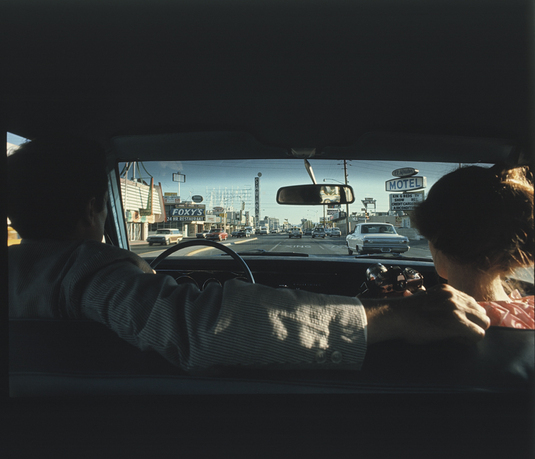 Las Vegas in the Rearview Mirror hopes to substantially further the understanding of this seminal urban study and the consequences of its methodological implications for contemporary architectural research. Martino Stierli is Swiss National Science Professor at the Institute of Art History at the University of Zurich. He is an art and architectural historian specializing in modern art, architecture, and urbanism. After having studied at the University of Zürich, he completed his PhD studies at ETH Zurich in 2007 with a thesis that was awarded the ETH medal of distinction and the Theodor Fischer Prize of the Zentralinstitut für Kunstgeschichte, Munich. Stierli was a postdoctoral researcher at National Centre of Competence in Research on Iconic Criticism at the University of Basel, ETH Zurich, and the Getty Reserach Institute. He is the cocurator of the international traveling exhibition Las Vegas Studio: Images from the Archives of Robert Venturi and Denise Scott Brown, and is published widely.